A few days ago, I was told I have COPD. Is there any way I can reverse that? COPD cannot be reversed but with proper management, the quality of life can be improved. Are antibiotics useful for treating allergic rhinitis? Antibiotics are of no benefit in treating allergic rhinitis. Are COPD and its symptoms seasonal? COPD symptoms and flareups are more common during change of season, probably because of increased prevalence of respiratory infections and change in environment conditions. Are people with COPD more prone to infections? Yes, people with COPD are at greater risk for lung infections than healthy people. If one's cough and shortness of breath get worse or if one develops fever, one must see the doctor. These are signs that a lung infection is likely. At what age do the symptoms for COPD start showing? Generally, one starts showing the symptoms of COPD after 40 years of age. Can allergic rhinitis be treated effectively? The treatment of allergic rhinitis includes reducing exposure to allergens in combination with medication therapy. More severe cases may need immunotherapy. Immunotherapy is a type of treatment that reduces the sensitivity to allergens. Can allergic rhinitis spread from one person to another? Allergic rhinitis is not caused by a germ, therefore, it is not contagious and cannot spread from one person to another. The basis of this disease is a hypersensitivity to certain substances, and this trait is individualistic. Many people with COPD also develop lung cancer; likely due to a history of smoking cigarettes. It is possible that specific genes make some people more vulnerable to COPD or cancer, or both illnesses. Chronic inflammation, caused by smoking or other lung irritants, could play a role in COPD and cancer, as well. Can exercising help me with my COPD? Exercise can help breathe better. However, exercise must be supervised because few exercises may worsen the condition. Can I die because of COPD? If untreated, COPD flareups may occur and lead to complications that may be fatal. Can I prevent myself from getting COPD? Except for COPD due to genetic problems, this condition can be prevented in many people by simply never using tobacco products or smoking. Other preventive measures include avoiding wood, oil, and coal-burning fumes; limiting one's exposure to lung irritants such as air pollutants; receiving recommended vaccines to avoid infections (eg: flu); regular & proper treatment for lung diseases such as asthma and lung infections that damage the lungs. Can long-term or heavy exposure to certain chemicals, fumes, or dust cause COPD? Yes, if a person is exposed to a lung irritant for a long time, then it can cause COPD. Therefore, one should take precautions while working is such environments. Can my COPD get better? Can peak flow meter be used to monitor COPD status at home? Peak flow meter is a device used to monitor asthma, not COPD. COPD can be diagnosed with a test even before symptoms get severe. Is this true? Spirometry is a simple breathing test that can help in diagnosing COPD. It can spot the problem even before the symptoms get bad. It measures how much air one can blow out of the lungs and how fast one can do it. Do I have to change my daily routine because of COPD? One can carry on with the daily routine provided it does not aggravate the symptoms. Risk factors should be avoided. In addition to medication, exercise and diet as suggested by the doctor should be followed regularly. Do I have to follow a particular diet because I have COPD? It is important to follow a healthy, balanced diet to maintain a healthy weight. One must consult a doctor and nutritionist to find out their ideal weight and create a healthy diet plan. Being overweight could make it harder to breathe and move around. At the same time, if one is losing too much weight because eating makes one feels breathless, or finds it difficult to prepare meals, one should try to eat little and often. COPD most often occurs in people above 40 years of age. Does COPD get worse with age? COPD is a progressive condition, which worsens with age. COPD is a progreessive disease; it can range from mild to severe. How do I figure out what I am allergic to? Maintaining a diary to note down all activities / movement / diet / time of the day / place / potential allergens etc. when one gets allergy, the symptoms and their severity.....may help in identifying the allergen. In severe cases, allergy test can be done to find out the allergen. How do I handle my daily house cleaning with my COPD? One can carry on with the daily house cleaning as done before being diagnosed with COPD, as long as one's symptoms do not get aggravavted. While cleaning one should try to avoid risk factors and not exert oneself. Diagnosis of COPD is made with the help of symptoms, history of exposure to risk factors, examination and confirmed with the help of a breathing test known as spirometry. Other tests like chest X-ray may also be carried out to rule out other problems with similar symptoms. I already have COPD. What is the point of quitting smoking now? Smokers with COPD lose lung function more quickly. Research supports that smoking cessation is the most effective way of slowing the progression of COPD, which means that quitting at any stage is beneficial. I am a 27-year old architect. Recently, I've started wheezing every time I get my period. Should I be worried? Changes in hormone levels during periods may affect the lungs and breathing, so one may develop wheezing during periods. One should consult a doctor to find out the cause and manage accordingly. I am on supplemental oxygen but at times I get very short of breath although my oxygen saturation levels are okay. Why does this happen? One can be short of breath even when oxygen saturation levels are okay, due to other factors, such as hyperinflation, retained carbon dioxide, and a flattened diaphragm, which increase the work of breathing. I have been hospitalized two times in last one month because of my COPD. How can I avoid these flare-ups in the future? 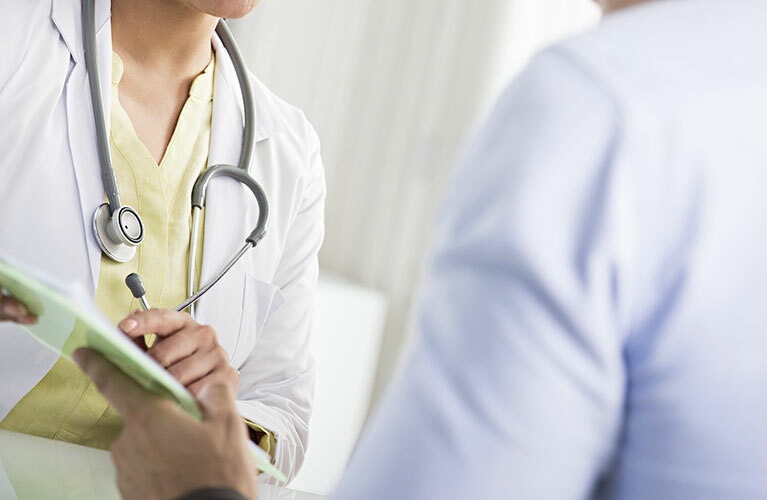 To remain stable and eliminate or decrease flare-up episodes, one must learn about triggers, recognise early warning signs of COPD flare-ups (exacerbations), and have a written action plan worked out with one's doctor. Taking medications regularly as prescribed by the doctor helps one stay healthy. I have been prescribed steroid inhaler for my COPD. Do I need to take calcium supplements also? Usually calcium supplements are given if steroids are take for long-term, especially when taken orally. One's doctor will be able to decide whether calcium supplements are required or not. For more information consult the doctor, as they will be able to decide if calcium supplements are required. I have COPD for which I attended pulmonary rehabilitation several years ago and learned the proper techniques for taking my medications and exercises etc. Recently I feel that the medications are not working as well as they used to. What could be the reason? COPD is a progressive disease. It may have progressed and require a different medication regimen. One must consult the doctor and change medications and doses as suggested by the doctor. I have COPD. Is it okay for me to drink alcohol? Alcohol can aggravate the symptoms of COPD. One should consult the doctor for further advice. I have COPD. Will lung surgery help me feel better and live longer? Only patients in the very advanced stages of the disease who meet strict criteria may be candidates for lung surgery. It may prolong life and improve quality of life for a select group of patients. For more information about COPD and lung surgery, please consult the doctor. I have glaucoma. Is it safe for me to use nasal sprays? Whenever a nasal spray containing nasal steroid is introduced in a patient with glaucoma, or at a higher risk for developing glaucoma, monitoring by an ophthalmologist is warranted. I have tried all types of treatment but there is no relief from my allergic rhinitis symptoms. My doctor has now advised immunotherapy. What is this? How will it help? Immunotherapy is an option for people who have tried other treatments but still have allergy symptoms. Injections or sublingual tablets containing a very small amount of the allergen that one is allergic to are given on a regular schedule so that one's body gets used to the allergens. This helps decrease the body’s sensitivity to the allergens. Over time, the allergy symptoms become less severe. I sneeze several times soon after waking up. This is mostly followed by itching & runny nose and watery eyes. How to know whether it is allergic rhinitis or cold? I thought only smokers can get COPD. I have never smoked tobacco but my doctor told me I have Alpha-1 COPD. How is this different from regular COPD? Does this mean my children may get this form of COPD too? One of the causes of COPD in non-smoker's is Alpha-1 Antitrypsin Deficiency, which is genetically inherited. COPD due to alpha1 antitrypsin generally develops early in life. This type of COPD can be passed on to children also, especially if the spouse is a carrier of the gene. Therefore, if one has COPD, the spouse and children should be tested for this gene. In addition to other factors, genetic factors can also play a role in an individual’s development of COPD. A person who has never smoked or been exposed to strong lung irritants can also develop COPD. Is it safe to take medication for allergic rhinitis during pregnancy? As a general rule, most medications should be avoided or used at the lowest dose that controls symptoms during pregnancy. However, one must consult one's allergist or obstetrician for more details. Is it true that all smokers get COPD? Cigarette smoking is the leading environmental cause of COPD. Most people who have it smoke or used to smoke. 50% of smokers develop COPD during their lifetime. Still, many smokers never get the disease. Is there any blood test to identify the allergens responsible for my allergic rhinitis? Yes, blood tests are available that can identify antibodies in one's blood and determine what one is allergic to. Is there any way to avoid COPD exacerbation? • Take medicines as recommended by the treating physician. • See the physician at regular intervals, even if one is feeling fine. • Get flu shot every year. • Avoid respiratory tract infections as far as possible. • Wash hands often for 20 seconds with warm water and mild soap. If washing hands is not possible, use sanitizer. • Avoid touching mouth, eyes, and nose in public to prevent germs from entering one's body. • Stay away from crowds, especially during cold and flu season. • Drink plenty of water. Thick sticky mucus is more likely to get stuck in one's lungs and cause problems. I’m 43 and a non-smoker. None of my family members or friends smoke, either. Why did I get diagnosed with COPD? Although COPD is more common in people who smoke or have smoked, there are many other risk factors and causes for COPD. Prolonged exposure to polluted air (due to burning coal / wood or industrial air pollutants) and infectious diseases that destroy lung tissue in patients with hyperactive airways or asthma also may contribute to causing COPD. Genetic factors may also be responsible for COPD. I’m 49 and my doctor told me I have COPD. How long do I have to live? If one avoids risk factors such as smoke, takes regular treatment, exercises safely and effectively, and pays attention to early warning signs of COPD flareups—and acts quickly on the early warning signs— one can live a full life. I’m a 48-year old woman, and I’ve had COPD for a few years now. Over the years, however, I feel like my breathing is getting more difficult. Could my COPD be getting worse? COPD is a progressive disease that worsens with age. One must regularly visit the doctor to monitor the disease and get advice regarding treatment. I’m a 55-year old woman and I have COPD. 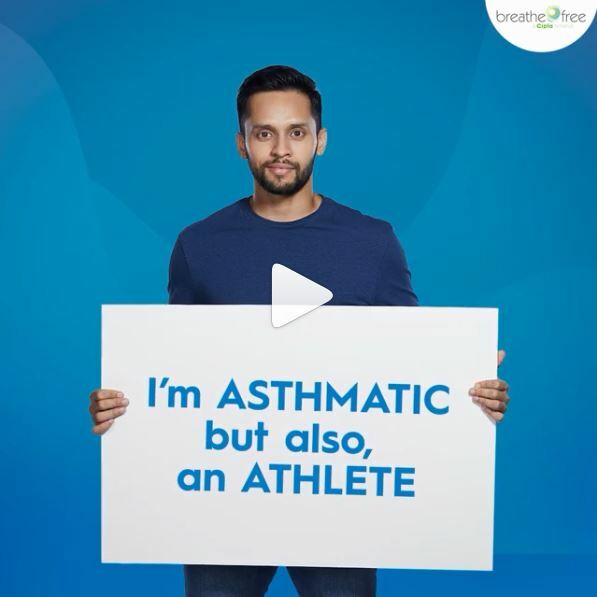 Will I also get attacks like people with asthma? COPD patients are also prone to attacks but with proper and rergular treatment they can lead a near normal life. I’m a 60-year old man, who just got diagnosed with COPD. Is my health going to get worse because of this? COPD is a progressive disease. However, with proper regular treatment, exercise, avoidance of risk factors, precautions to prevent flare-ups, and support, one can have a good quality of life, even after being diagnosed with COPD. I’m a 67-year old woman. Can walks help manage my COPD? Walking is a safe and effective form of exercise for nearly everyone, including people living with COPD. This low impact activity can improve the body's ability to use oxygen, build endurance, strengthen muscles, and enhance an overall sense of well-being. However, if walking makes one breathless then one needs to contact the doctor. I’m a 73-year old man and I practice yoga daily. Can I continue yoga even if I have COPD? It is generally safe to practice yoga even if one has COPD. However, one must consult the healthcare provider before continuing yoga or starting a new exercise. Certain yoga poses that restrict breathing, by putting pressure on the diaphragm, need to be avoided. One must keep inhaler and/or oxygen supply within reach, while practicing yoga. I’m not a smoker, but I hang out with people who are. Recently, I’ve been coughing continuously and finding it difficult to breathe. Do I have a problem? Second-hand smoke can also cause harm the lungs and cause difficulty in breathing and cough. One must consult a doctor if one has any of the above symptoms. I’ve lived a relatively healthy and physically active life. However, after I turned 45 I was told I have COPD. How did I not know about this before? It is possible that the early stages of COPD may go unnoticed because the symptoms aren't very obvious.Therefore, COPD can develop for years before being diagnosed. My allergic rhinitis symptoms are worse during humid and rainy weather. What precautions should I take? Allergy to mould is a common cause of allergic rhinitis, symptoms of which are worse during humid and rainy weather. One must avoid damp places. Dehumidifiers may be of help. My child suffers from allergic rhinitis. Can he outgrow it? Some people, especially children, may outgrow an allergy as the immune system becomes less sensitive to the trigger. My doctor has advised me to eat 5-6 small meals in a day, instead of 3 large meals. How will this help in managing COPD? Quality and quantity of food can affect how well a person with COPD can breathe. Having a really full stomach can make it harder to breathe. One should eat a nutritious and balanced diet as suggested by one's nutritionist. My doctor keeps advising me to exercise more; for this she has asked me to go for pulmonary rehabilitation . How can I exercise when I can't even catch my breath? The staff at pulmonary rehabilitation centres are specially trained to work with people with breathing problems. 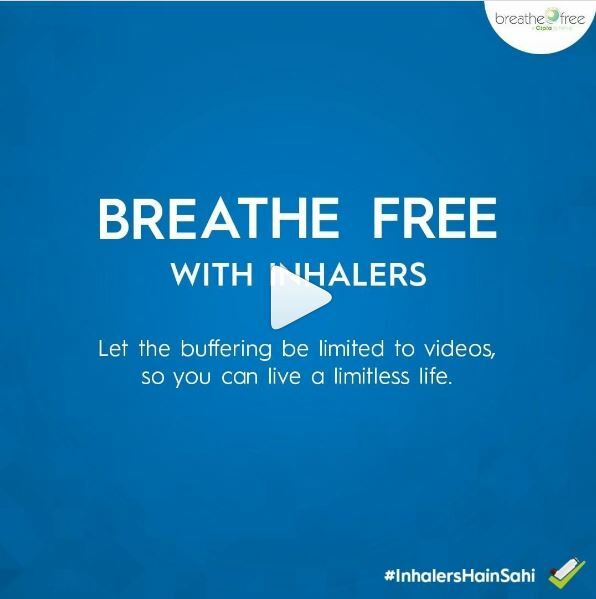 They teach people ways to keep up with their daily activities without much shortness of breath. 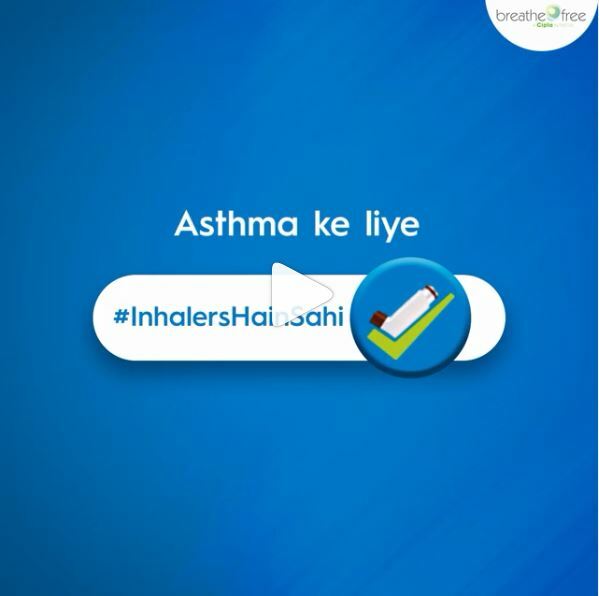 One can improve and breathe better with pulmonary rehabilitation. Specific exercises are taught that help build muscle strength, including the muscles used for breathing. 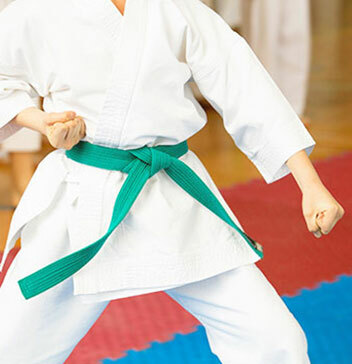 One can also learn to manage stress and control breathing. My doctor says I have been able to manage my COPD pretty well, but I still feel like there’s mucus in my airways. How do I get rid of it? The COPD medications helps loosen the mucus and open the airways. Few techniques are also used to help remove mucus. These can be demonstrated by your doctor. My friend has COPD. I am persuading him to quit smoking but he is unsure that it will really help him breathe better. Will it? My friend who has asthma uses an inhaler to deliver medicine directly to his lungs. Is there any such thing available for delivering medication directly to the nose in case of allergic rhinitis? Nasal sprays containing medication are available and are effective in treating the symptoms of allergic rhinitis. My husband has had COPD for a few years now. Lately, he has been sleeping a lot more than he used to. I mean he sleeps for almost the entire day, waking up just to eat and may be watch a bit of TV. Is this normal for COPD patients or should I be worried? One must consult a doctor to find out the reason for excessive sleeping. My mother was told she had COPD when she was 45. I’m 45 now, and I’m wondering if COPD is hereditary? My symptoms are worse during hot dry days and much less during rainy season. What could be the reason? If one is allergic to pollen, the allergy symptoms are worse during hot dry days and much less during rainy season. On rainy days, pollen often is washed to the ground, which means that one is less likely to breathe it, therefore symptoms are less. Should I consider moving to another city to decrease my allergic rhinitis symptoms? Moving to another city may not help. Many people who relocate to get away from pollens that cause their allergies tend to find that they eventually develop allergies to the plant pollens in the new area. The most common symptoms of COPD are breathlessness (specially while partaking in any physical activity), frequent coughing (with and without sputum), wheezing and tightness in the chest. However, it is important to remember that these symptoms are not specific to COPD, and thus, one must consult a doctor to find out the correct diagnosis. What does COPD stand for? It is a painless device that clips to a finger and measures the amount of oxygen in one's blood. Allergy skin test is done to determine exactly what one is allergic to. During an allergy skin test, tiny amounts of allergens are applied to one's skin. The doctor observes and records the way one's skin reacts to each allergen. This way the doctor can identify the allergen. What is hay fever? Is it the same as allergic rhinitis? Hay fever is the term used to describe seasonal allergic rhinitis due to pollen. Despite the name, hay fever is not necessarily a reaction to hay, and it does not cause fever. Pulmonary rehabilitation is a program of exercise, education, and support to help the patient learn to breathe and function at the highest level possible. What is spirometry? How does it help in diagnosing COPD? Spirometry is the main test for diagnosing COPD. It measures how much air one can move in and out of the lungs, and how quickly one can do it. Spirometry can detect problems even before one has symptoms of COPD. It also helps determine the stage of COPD. What is the role of nutrition in chronic obstructive pulmonary disease (COPD)? Nutritional support is an important part of comprehensive care in patients with COPD. Inadequate nutritional status leading to low body weight in patients with COPD is associated with impaired pulmonary status, reduced diaphragmatic mass, lower exercise capacity, and higher mortality rates. What kind of medications are usually prescribed to manage COPD? Numerous medications may be prescribed to treat COPD. These medicines reduce symptoms, prevent flare-ups and enhance the quality of daily activities. These medications may be taken by mouth or inhaled into the lungs. Some work by opening the airways; others are designed to reduce inflammation, or eliminate infections. What lifestyle changes should I make to help treat and manage my COPD? The doctor may recommend participation in a pulmonary rehabilitation program which incorporates lifestyle changes into a comprehensive program and includes the support of peers. Few trees (oak, ash, elm, birch, maple etc. ), grasses, and weeds (ragweed, sagebrush etc.) produce small, light, dry pollens in large quantities that can be carried through the air for miles. Why are the symptoms of allergic rhinitis worse in the morning? One can be exposed to common allergens( e.g. : dust, pet dander etc.) at night while sleeping, and morning symptoms may be a reflection of night-time exposure. Also, pollen counts are often at their highest in the early mornings. Why only some people suffer from allergic rhinitis? The immune system of some people overreacts to some things in the environment that typically cause no problem in most people. These things are known as allergens. You need to watch what you eat when you have COPD. Is it true? A person with COPD can burn up to 10 times more calories just trying to breathe, compared with a person without COPD. If one is overweight, one's heart and lungs have to work even harder. If one is underweight, one may be more likely to get health complications from illnesses. So, it is important to maintain a healthy weight. One should have a healthy balanced diet as adviced by the doctor or health care professional.